The Zone3 Hand Paddles silver are often described as the most comfortable paddles available. 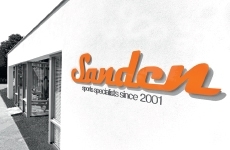 In fact, the coaches of two of the largest triathlon clubs in the UK stock these especially for their swimmers. They are perfect for building upper body swimming strength and are very useful to combine with the buoyancy shorts. After testing many different types of swimming paddles we have chosen this set as they are not too big or too small. 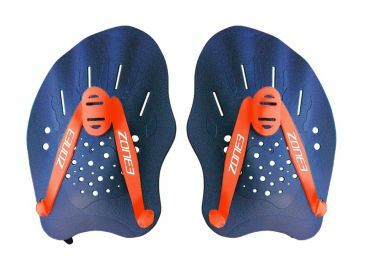 The Zoggs Ultra Blue training fins feature a short blade with dual density weight. The foot is soft & malleable for comfort while the blade is slim & rigid allowing for optimum propulsion through the water. Ultra Blue Finz are also lightweight which results in a more balanced and natural rhythmic kick as well as a reduction in muscle fatigue on the calves so swimmers are less likely to experience cramping post swim. Can be used with a kickboard, allowing you to focus solely on improving your kick. The Finis Forearm Fulcrums yellow/black develop an early vertical forearm (EVF) position and increase stroke efficiency. An EVF position utilizes the entire forearm during the pull, from fingertips to elbow. The Forearm Fulcrums promote stroke refinement through muscle memory of proper hand, wrist and forearm position. The Forearm Fulcrums improve efficiency and maintain a strong, uninterrupted pull from the beginning of the stroke to the end. The Forearm Fulcrums are a versatile tool for all four swim strokes. The Finis Bolster hand paddles yellow/black promote an early vertical forearm position that uses the entire forearm and hand during the pull. Perfecting this technique with the Bolster Paddles encourages a high elbow and will lead to more efficient swimming. The Bolster Paddles are also a great way to build upper body strength. The wide paddle design offers resistance throughout the pull and can be applied to all four swim strokes. Using the Bolster Paddles overtime will improve entry, catch technique, pull and recovery. 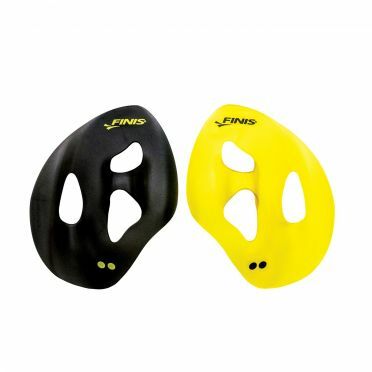 The Finis ISO hand paddles yellow/black are strapless paddles designed to isolate specific muscle groups, develop proper hand position and heighten stroke awareness. 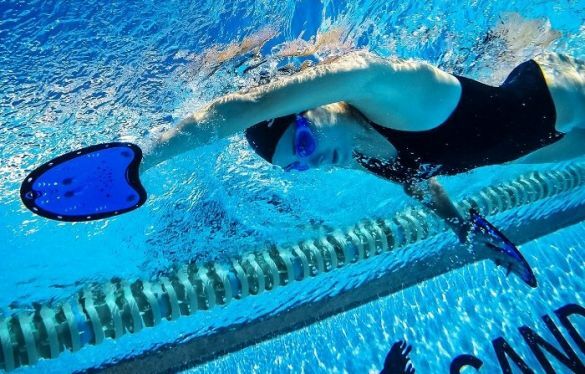 Iso paddles are uniquely designed to create an imbalance in the catch phase of a stroke, which forces swimmers to apply more pressure on either side of the paddle in order to maintain a proper stroke. The variance encourages swimmers to pay increased attention to hand position in the water, keeping it level and consistent throughout the catch and pull of each stroke. The strapless design of the Finis Instinct Sculling hand paddles black heightens stroke awareness to improve technique. The ergonomically advanced design of the Instinct sculling paddles helps teach swimmers the correct palm positive hand positionwhile sculling. The Instinct sculling paddles' convex design promotes an early catch and an early vertical forearm position in the sculling motion. The Instinct sculling paddles are a versatile tool for all four swim strokes and are available in two sizes: Medium & Large. 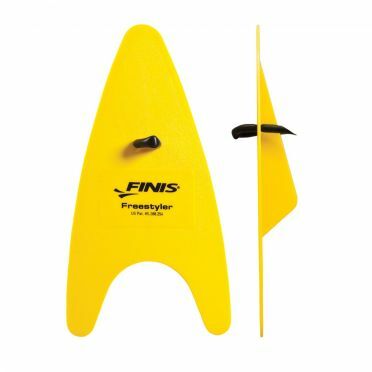 Specifically designed for freestyle training, the Finis Freestyler hand paddles yellow plane the hand forward through the water, improving reach and distance-per-stroke. With a long fin shape and unique skeg design, the Freestyler Hand Paddles promote a strong pull through, better hip-rotation and increased efficiency. An adjustable finger strap offers a perfect fit and the narrow surface area helps prevent shoulder strain. 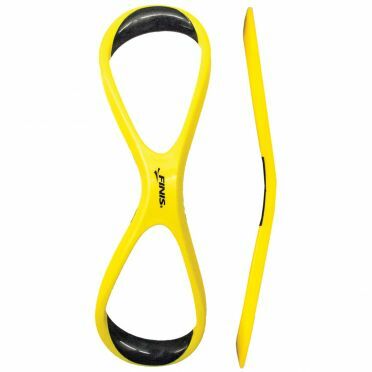 The ergonomically-advanced design of the Finis Agility hand paddles yellow teaches an early vertical forearm position to increase stroke efficiency. The convex shape requires a proper palm-positive hand position. Due to the paddles' strapless design, incorrect technique will cause the paddle to fall off. Additionally, the absence of straps makes for a simplified fit, eliminating the hassle of broken or uncomfortable straps. The Agility Paddles are a versatile tool for all four swim strokes and accommodate most hand sizes. 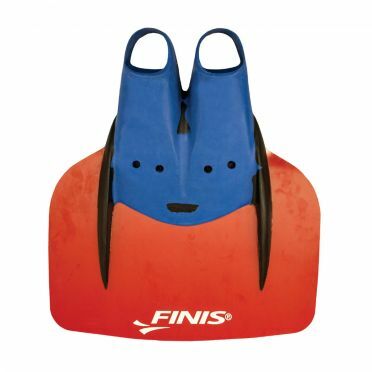 The Finis Long floating fins increase leg strength and help athletes swim at faster speeds. With its long, hydrodynamic blade, the Long Floating Fins add propulsion to butterfly and flutter kick. Buoyancy from the fins lifts legs to the surface, reducing drag from the rest of the body. The Long Floating Fins' closed heel design provides protection against hyperflexion of ankles and increases comfort. Please note: the colour of the Long floating fins varies per size. 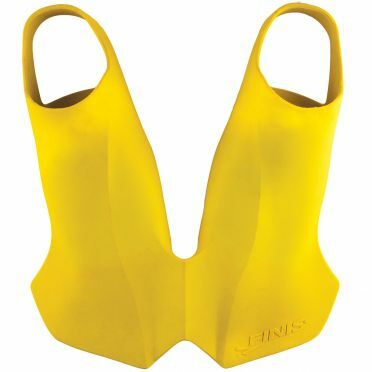 The Finis Rapid monofin yellow is a recreational monofin designed for teenagers and adults. The large single-blade teaches swimmers a proper undulation in the water, while obtaining a great core and leg workout. The Rapid's flexible blade makes swimming more enjoyable as users can swim at greater speeds and depths. 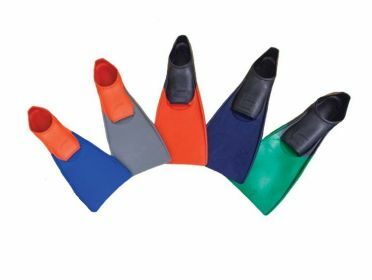 The Rapid is a versatile monofinthat can be used in a pool, lake or ocean and comes with adjustable heel straps that can be fitted to various sizes. The Rapid also comes with quick-release foot strap that provide added safety in the water. 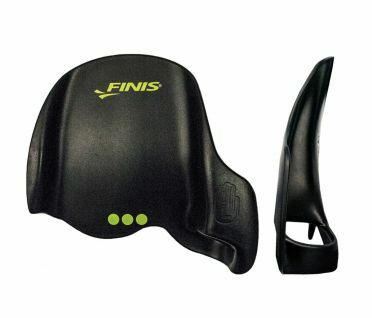 With a short and stiff fiberglass blade, the Finis Shooter monofin builds a quick and powerful butterfly kick, while improving flexibility in feet and ankles. Allows for race pace kick speed while working abdominal muscles, lower back, quadriceps and gluteus. The Shooter is a useful tool for underwater drills, breaststroke technique and butterfly conditioning. Please note: the color of the shooter monofin differs per size. 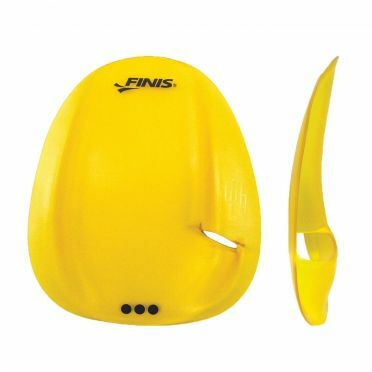 The Finis Positive drive fins yellow use a unique ellipsoidal blade to generate correct propulsion in all four swim strokes. The asymmetrical blade design allows the swimmer to build power while promoting a natural inward supination kick style for butterfly, backstroke and freestyle. The PDF's use an ergonomic foot pocket to comfortably place feet in an ideal swimming position. The heel strap secures the fin, allowing feet to flex more naturally and the closed toe design provides superior energy transfer from leg to foot. The PDF's will increase leg strength, foot speed and ankle flexibility for all four swim strokes, making the fins great for individual medley training. 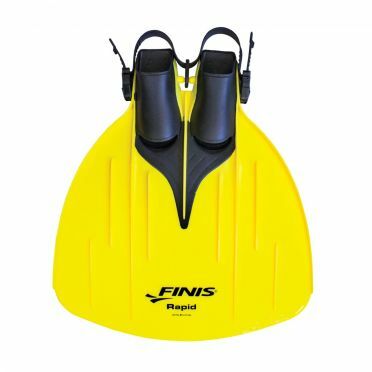 The Finis Zoomers gold fins yellow provide an improved foot pocket formulated from soft natural rubber for increased comfort. The short blade encourages shorter, faster kicks for additional propulsion through the water. 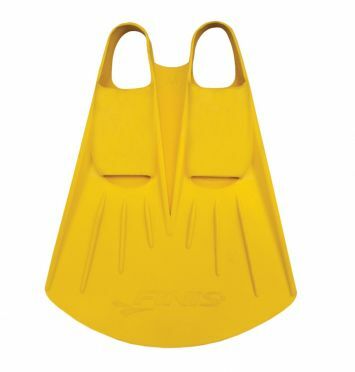 The Zoomers Gold Fins are an ideal training fin for cardiovascular conditioning and speed training. 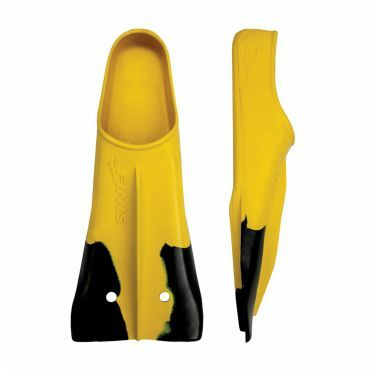 With its short blade, the Finis Z2 gold zoomers fins yellow/black encourages shorter and faster kicks while experiencing propulsion through the water. 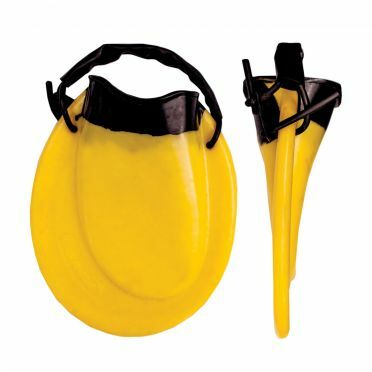 The comfortable fit of natural rubber creates a soft and secure fit and inhibits hyperflexion. The fluid separator on top of the fin allows the foot to easily slice through the water while reducing fatigue on the down kick and quads. The flex box on the bottom of the fin helps catch water on the up kick, targeting and strengthening hamstrings and glutes. The Finis EVO monofin yellow is the first and only short-blade monofin designed to teach swimmers an efficient dolphin kick, build muscle memory, and create perfect body position in the water. We achieved our goal of designing a monofin that supports a natural dolphin kick by enabling ankle movement. This allows swimmers to be able to wear a monofin for longer periods of time without slowing kick tempo and stroke rate. With a short blade and independent foot pockets, swimmers can easily adapt to the fin and enhance the performance benefits. This creates a smoother transitional period when learning new muscle memory skills or breaking old habits. 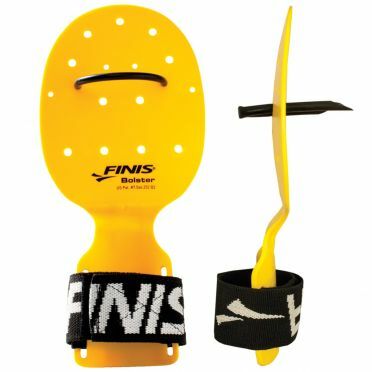 The Finis Foil monofin yellow teaches the Foil Body Motion developed and made popular by Coach Bob Gillett. The Foil Body Motion utilizesthe entire body to create a powerful and undulating dolphin kick through the water. The Foil Monofin promotes an equal use of up and down kicks for propulsion throughout the entire dolphin kick movement, increasing core and leg strength. Natural rubber provides a secure and comfortable fit. 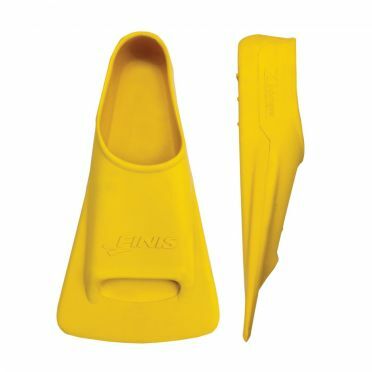 The Finis Edge fins yellow are designed to improve technique and give your legs a real workout. It takes power to push these fins through the water, which results in building strength and endurance. The side rails on the fin activate your hips and quadriceps – enforcing a proper kick that starts at your hips and not your knees. This motion is great for glute and hamstring development. 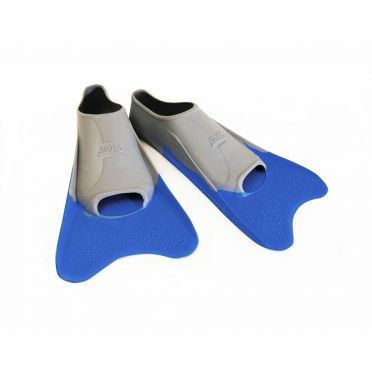 Made of 100% silicone, Edge fins will mold to your feet over time, like breaking in a new pair of shoes. 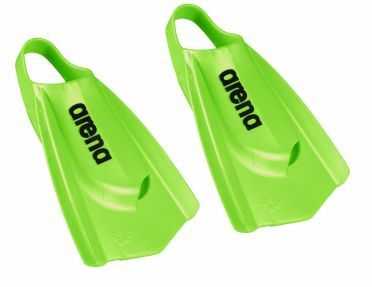 The innovative design of the Arena Powerfins pro green features a sloping surface and hydrodynamic slits in the top to allow you to swim with a faster leg kick and better control. The open heel ensures the best possible ankle flexibility allowing faster upwards notion and a more powerful downward leg kick. Training your legs vertically using Powerfin Pros for just a few minutes today will help you improve your underwater phase. The vertical leg kick allows you both to control your body position and make sure you are performing a proper leg kick. This Zone3 Swim training bundle is the optimal package to improve your swimming techniques. 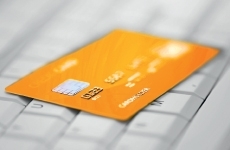 The training package consists of the 4 most necessary accessories you need during a technique training. 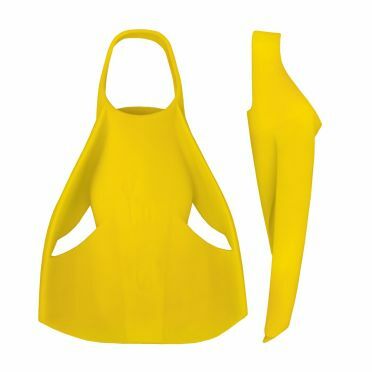 This combi package consists of the following products from Zone3: kickboard, pullbuoy, hand paddles and a mesh bag. 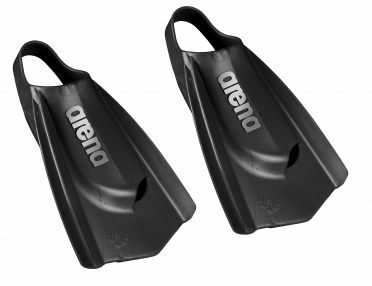 The innovative design of the Arena Powerfins pro black features a sloping surface and hydrodynamic slits in the top to allow you to swim with a faster leg kick and better control. The open heel ensures the best possible ankle flexibility allowing faster upwards notion and a more powerful downward leg kick. Training your legs vertically using Powerfin Pros for just a few minutes today will help you improve your underwater phase. The vertical leg kick allows you both to control your body position and make sure you are performing a proper leg kick.